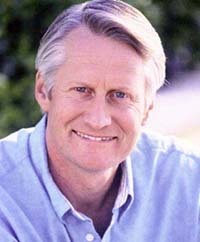 Charles Martinet, perhaps better known to most of you as the voice actor for Mario of Nintendo fame (I don’t think he provides my voice, I’ll have to look into that), has announced his intention to write an autobiography detailing his history working for Nintendo. I’m always intrigued to hear from various folks on their perspectives on the videogame industry, so there’s a good chance I’ll be picking this up when it’s available. Plus, come on. It’sa him, Mario! Violence in videogames, if you can call it violence – you have to take it into perspective. I don’t think that people go out and steal cars because they play a car stealing game, any more than I think that someone is going to shoot somebody because they play a shooting game. You don’t do that because that a game. I suppose if the only person he was arguing against was Jack Thompson, this might hold some water. But I don’t think any rational person decrying violence in video games (and yes, there are intelligent people making this argument intelligently and reasonably, as in people who aren’t Jack Thompson) is saying that performing X action in a game equates to X action in real life. I guess I’m getting a little off-base here, but I hope that the finished product ends up being a little more insightful and a little less “duuuuuuh, really?“. I’ve enjoyed the man’s work (even if he did do the voice of *shudder* Toadsworth), and I feel like his decade+ of experience in an industry I hold near and dear to my heart should make it an interesting read. Now he’s just gotta write the thing. Oh yeah, don’t watch the video on his seemingly-made-like-10-years-ago website. You’ll probably like him less. Next Next post: Pokémon Snap Updated For Virtual Console!